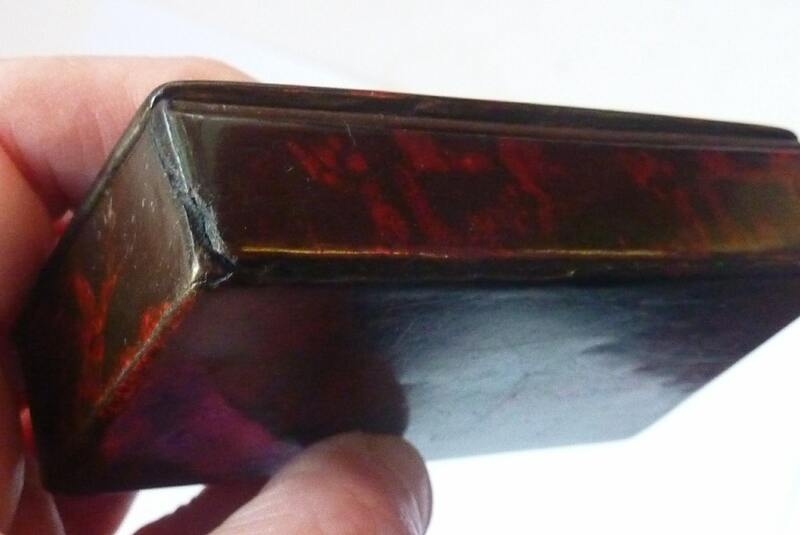 This is a lovely little antique snuff box - dating to the 19th century. It is made of papier mache - and is decorated with a trompe l'oeil finish to resemble black and red marble. It is in fairly good condition for its age - as can be seen in my photographs - with no major damages. 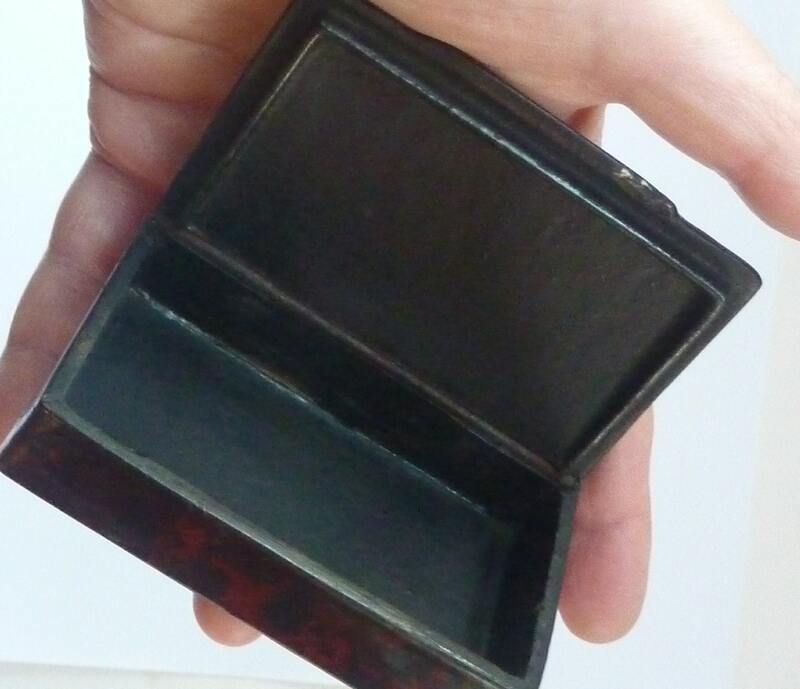 There is a little stable and very old split to the top layer of the box at one corner - and a little nibble under the little thumb piece where you would prise the little snuff box open. No major chips or cracks, and the exterior surface remains nice and shiny with no scuffing. The interior is nice and clean with no losses. 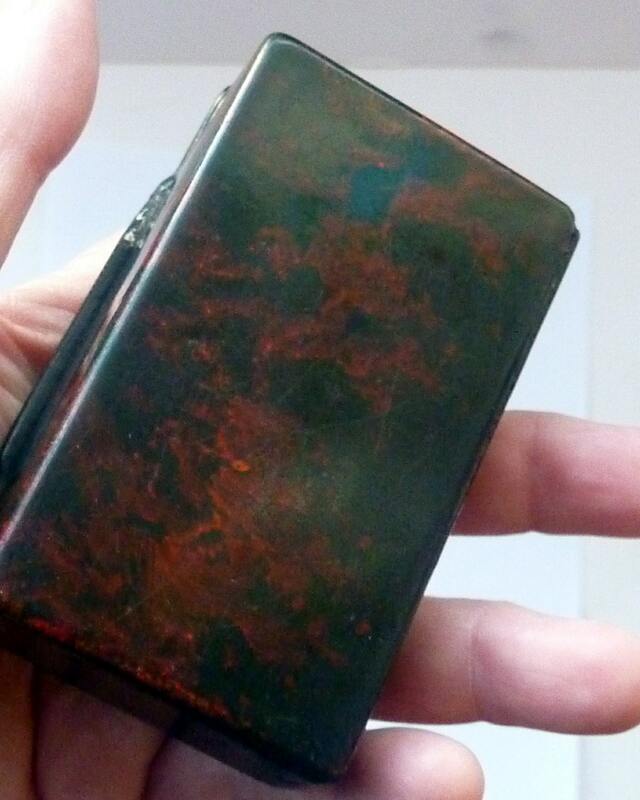 There is a hinge at the back - this is working well and again firm with no damages. 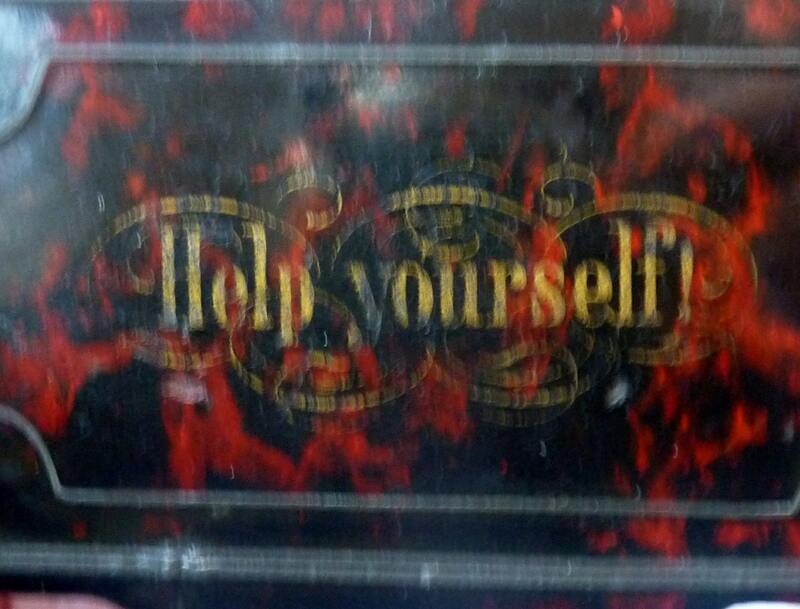 The lid has a little decorative border around the edge -and a mock inlaid lozenge in the center; this contains the words: Help yourself. 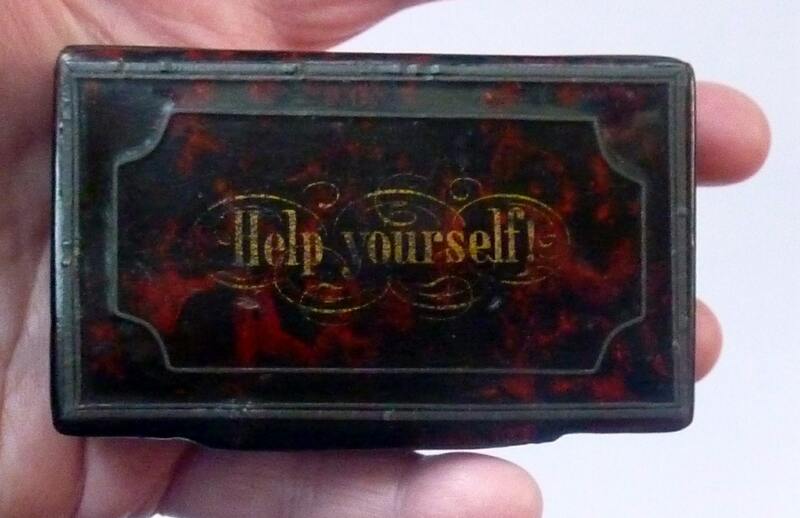 A wonderful little snuff box for your collection of 19th century boxes. HAPPY TO POST INTERNATIONALLY, PLEASE ASK FOR A POSTAGE QUOTE OUTSIDE OF THE UK.